The main attraction is coveted views over Koggala lake. The other benefit is proximity to Habaraduwa beach, which one of the nicest long sundy beaches in the area. The subjected property is situated at Harumalgoda, Meepe within the Habraduwa Pradeshiya Sabha area in Galle District Southern Province. 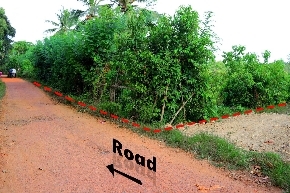 Land is accessed after proceeding 15km on Matara Road (A2) form Galle, turning from Habaraduwa Junction off Habaraduwa ? Anugulugaha Road (B065). For shopping, the historic town of Galle is just 20 minutes away. Imaduwa and Galle Southern Expressway Interchanges are just minutes from the land.